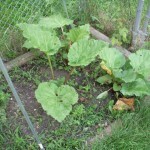 Well it took just under two months but the monster is back in action, and in desperate need of some thinning. 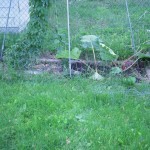 His identical twins in the backyard seem to be doing just as well. 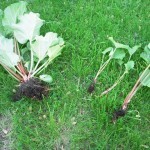 So they should be excellent candidates for further transplanting later in the growing season. 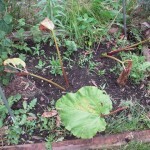 Well cutting off the flowers was a good thing, because the rhubarb monster is back in full force. 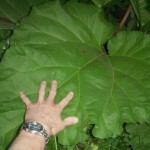 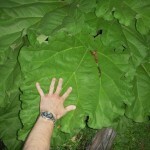 As you can tell in a couple of the pics, some of the leaves are the size of elephant ears, and not the deep fried kind. 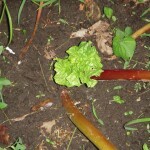 Out of the transplants I originally thought that “in the end, there can be only one”. 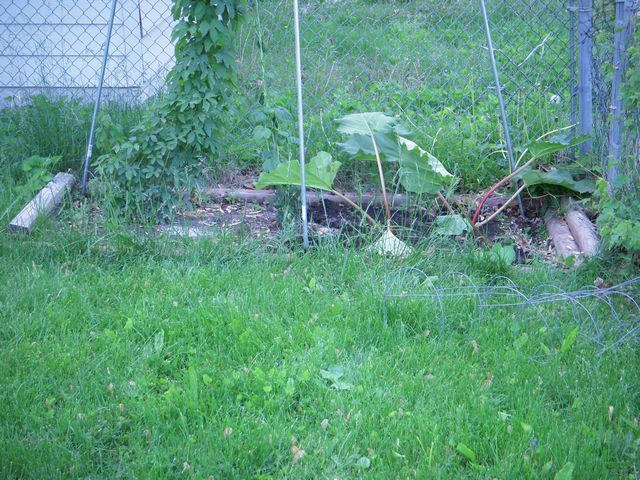 But it appears that out of the six cutting two are going to survive the move, one in the hop garden and the other with the green monster. 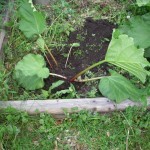 Since only those two each have a new stem emerging out of the ground. 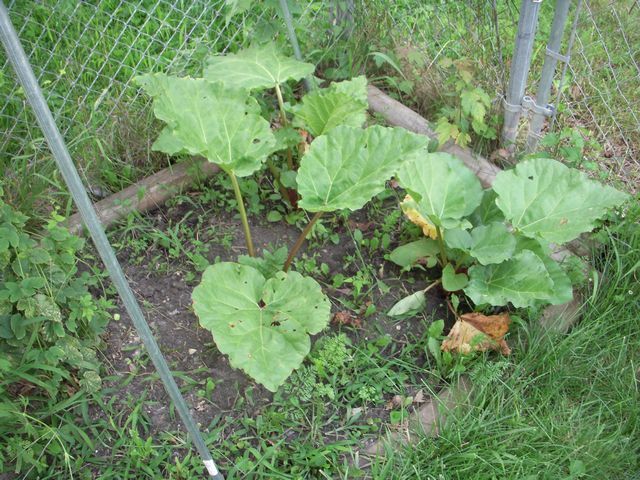 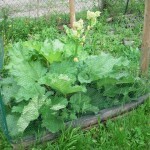 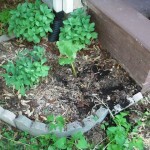 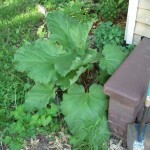 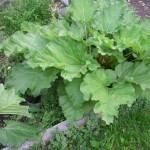 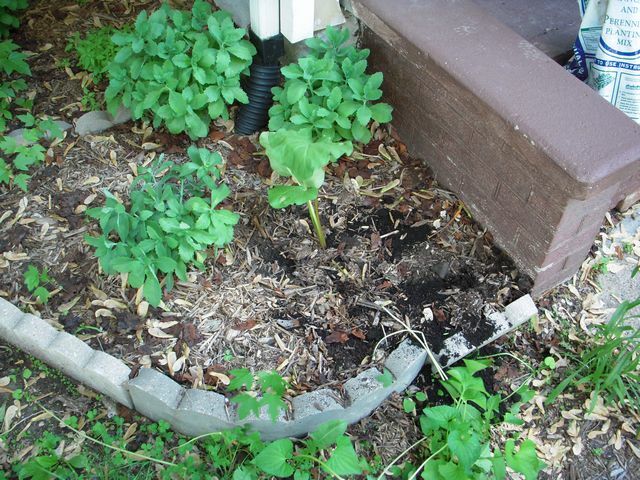 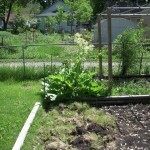 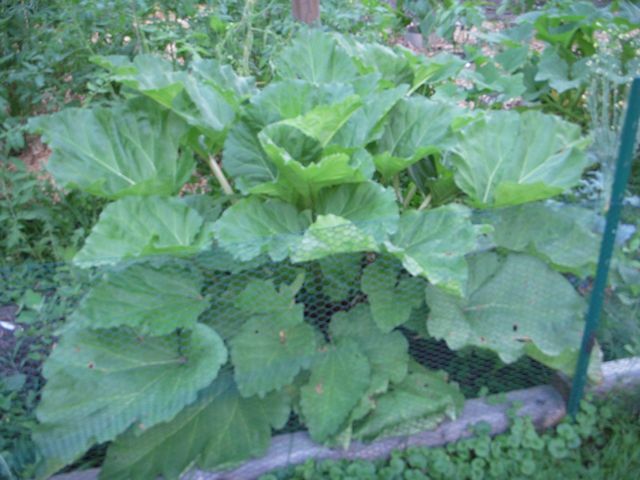 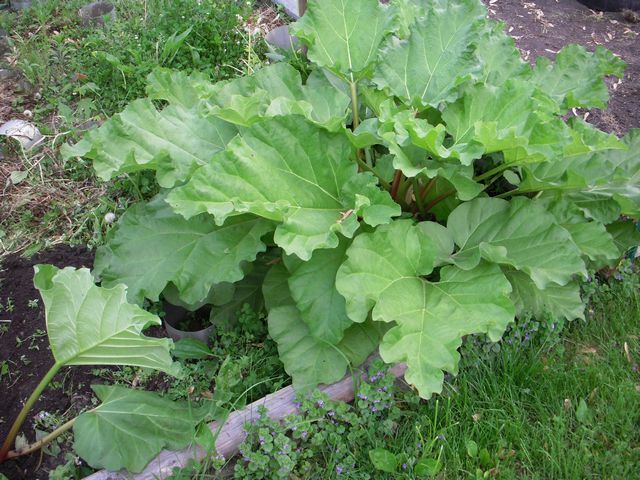 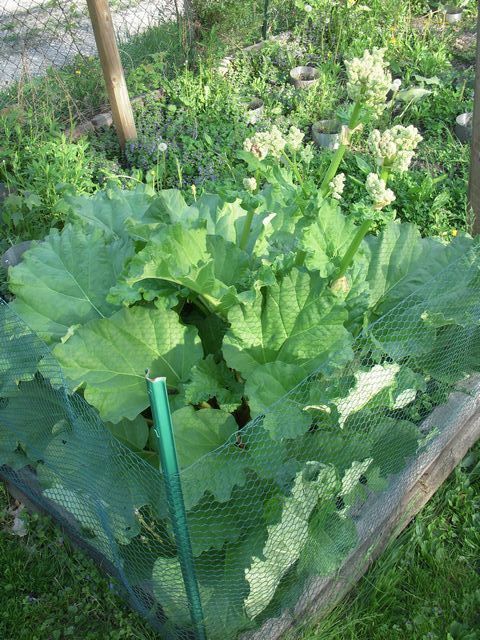 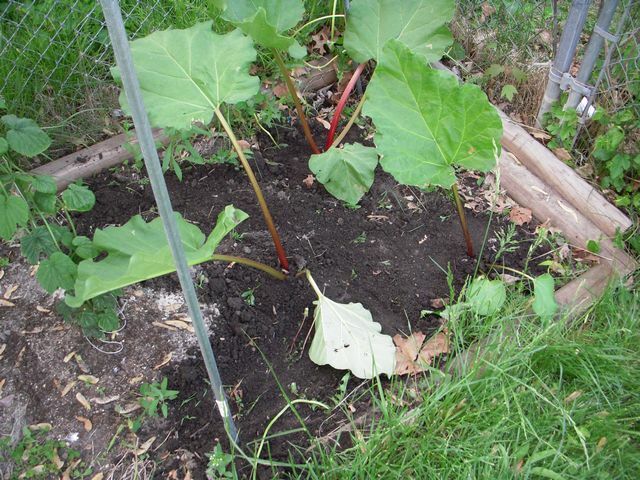 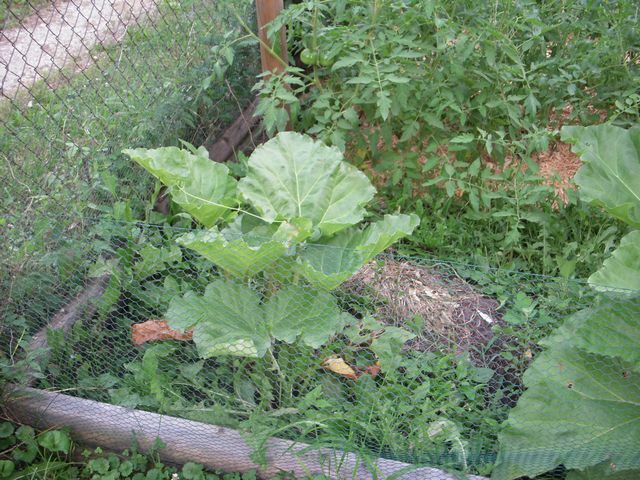 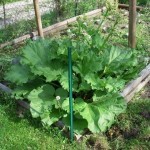 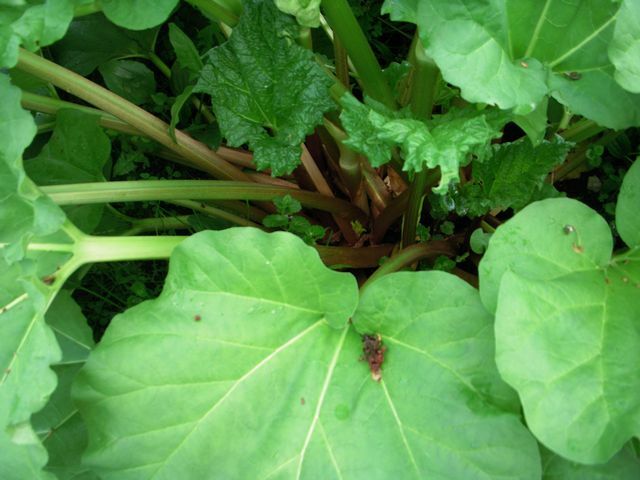 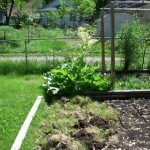 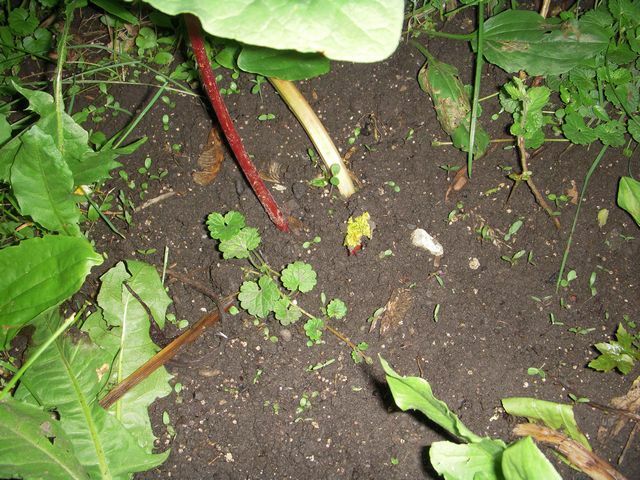 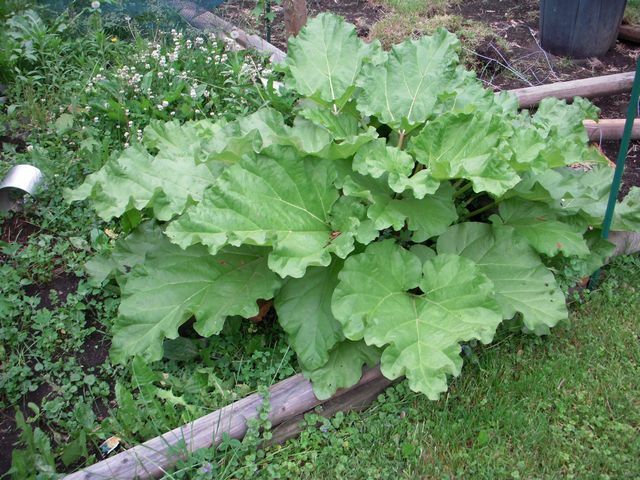 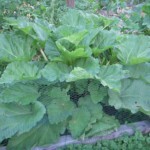 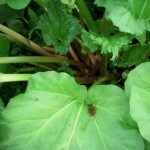 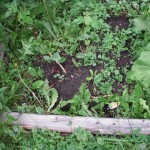 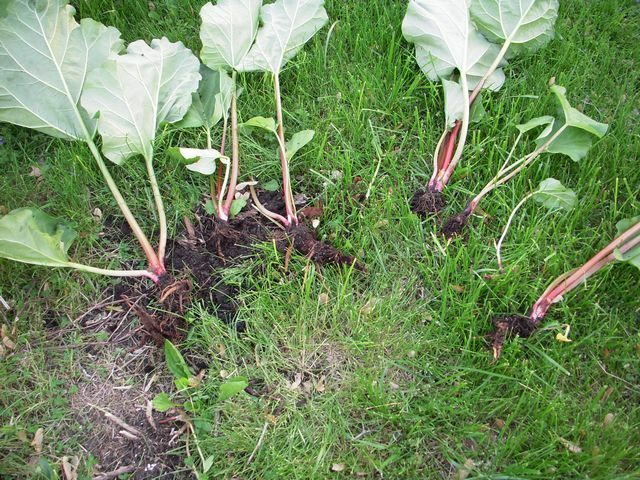 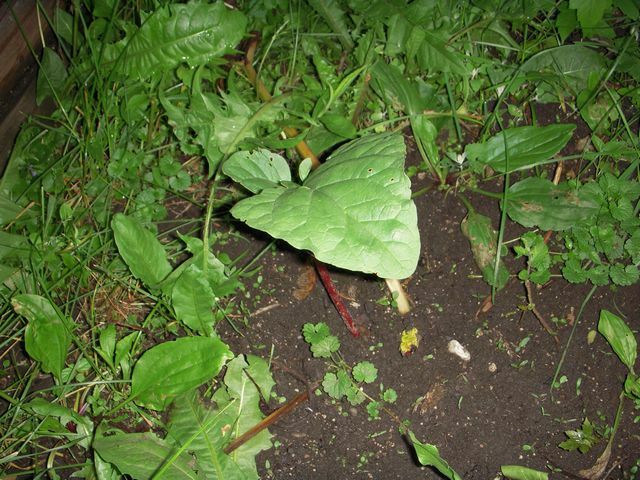 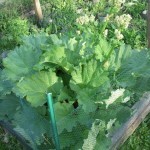 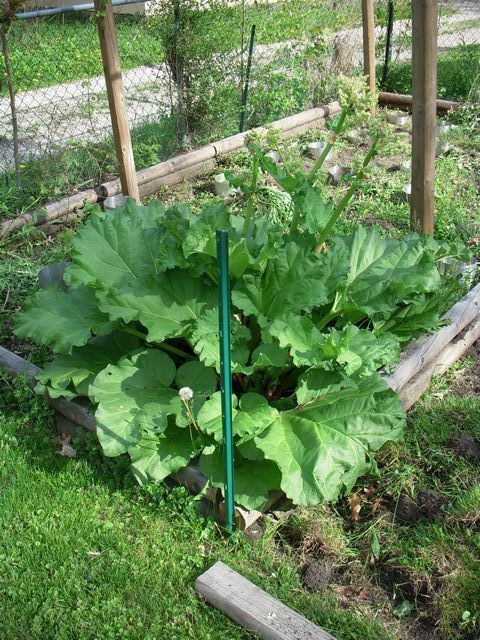 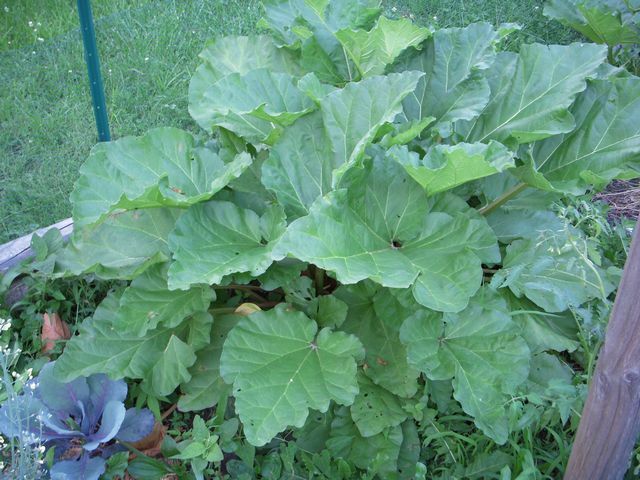 Thank you heavy rains……you may have killed most of my seedlings, but the rhubarb is loving it. 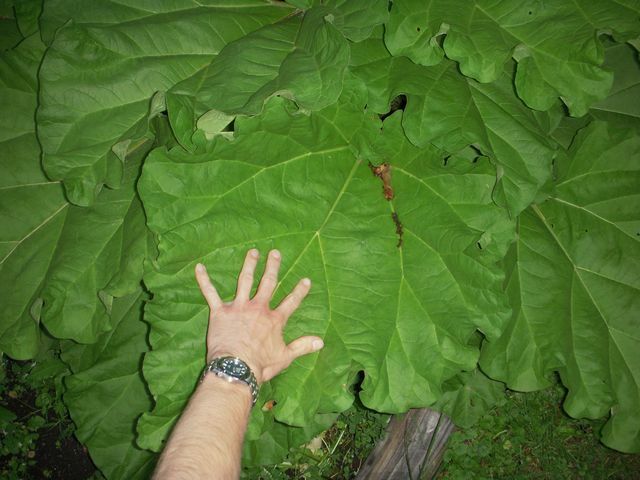 now those are some leaves! 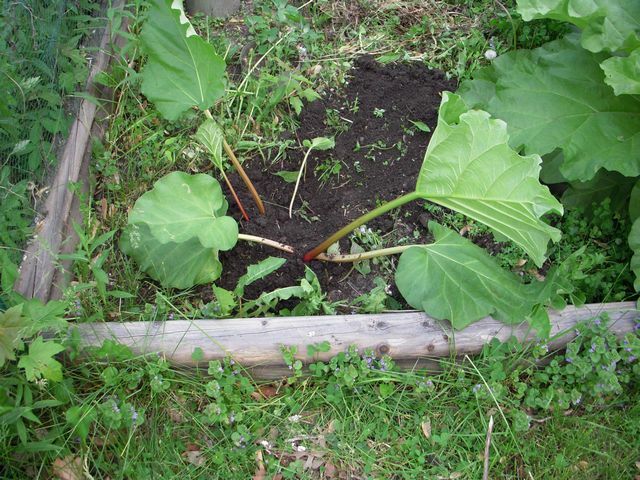 So I finally moved the patch of rhubarb from the front yard to the back yard. 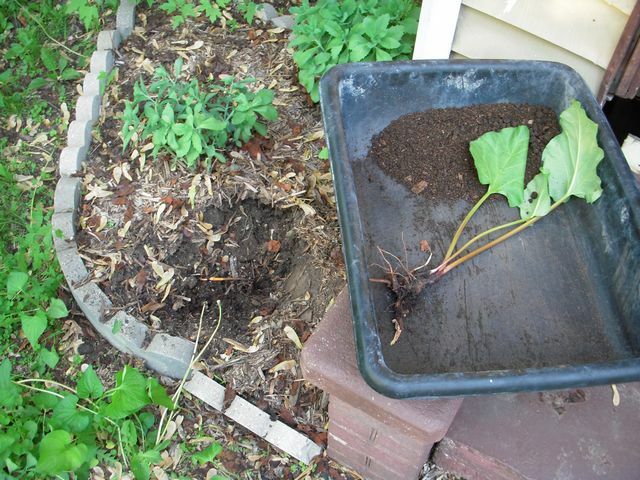 But I did end up leaving a little chunk in the front yard, just for fun. 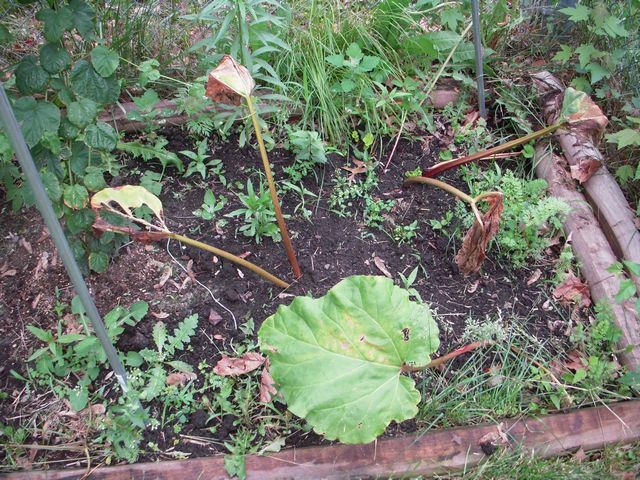 If it survives, great…..if not, no big lose. 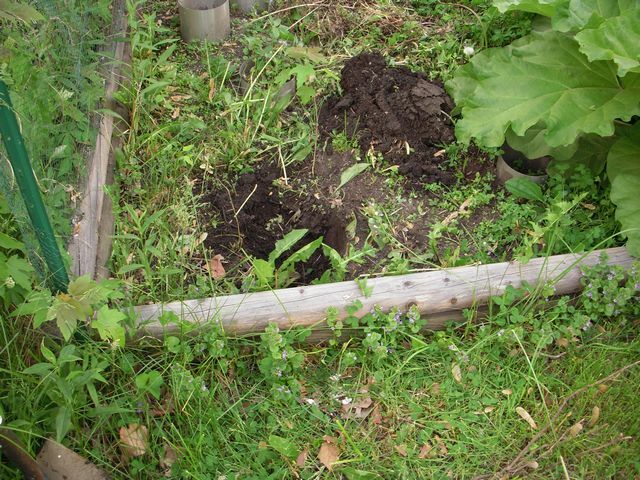 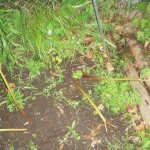 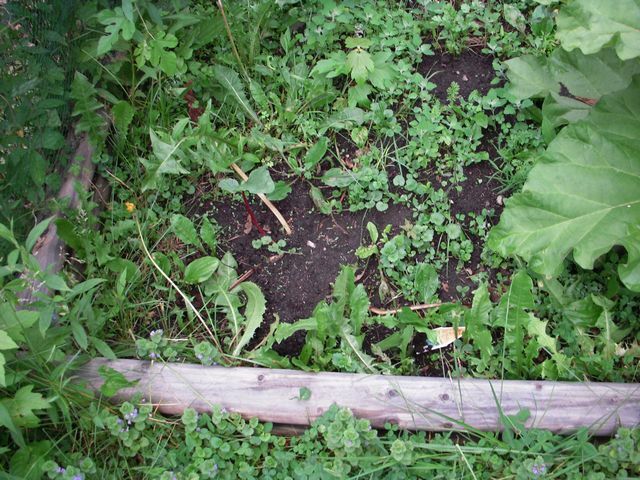 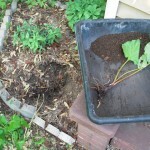 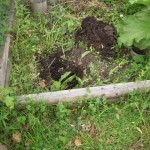 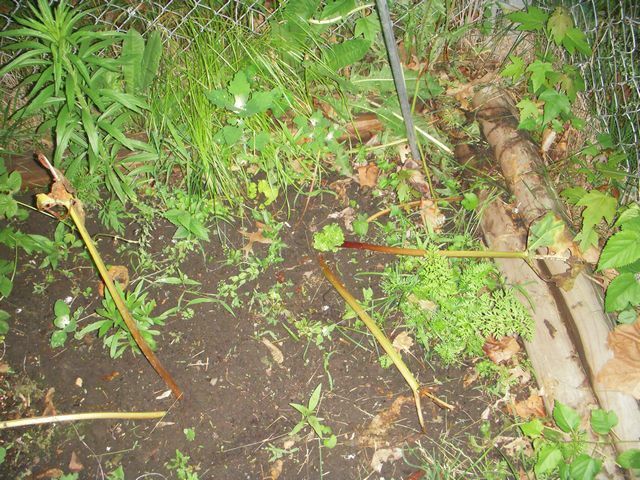 I even planted a couple of chunks in the hop garden, since I had a bare spot from where the Willamette died. 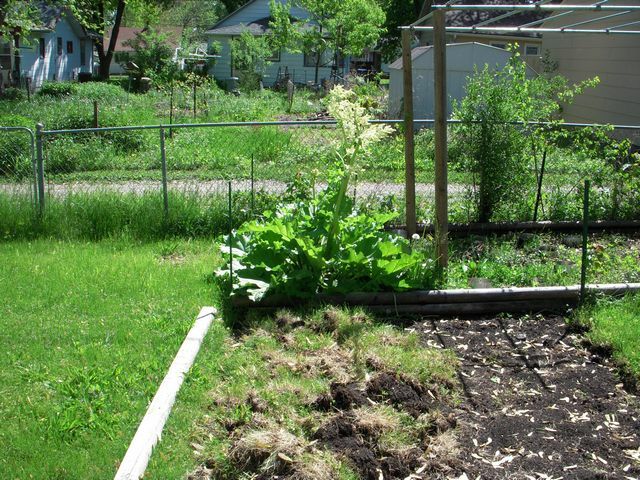 I was going to cut off a centennial runner and move it to the bare spot, but I think that I’ll give it to a friend here is town. 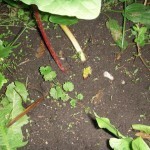 Since he has been wanting a chunk of the rhizome for a while. 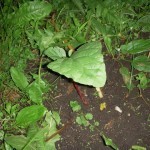 So it should all work out perfectly. 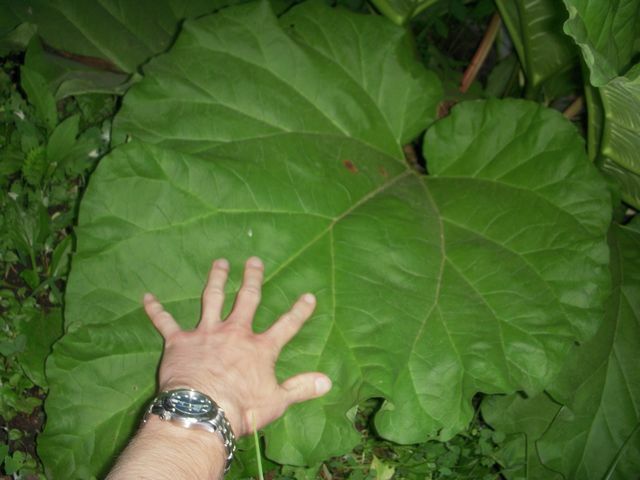 These flowers are monstrous. 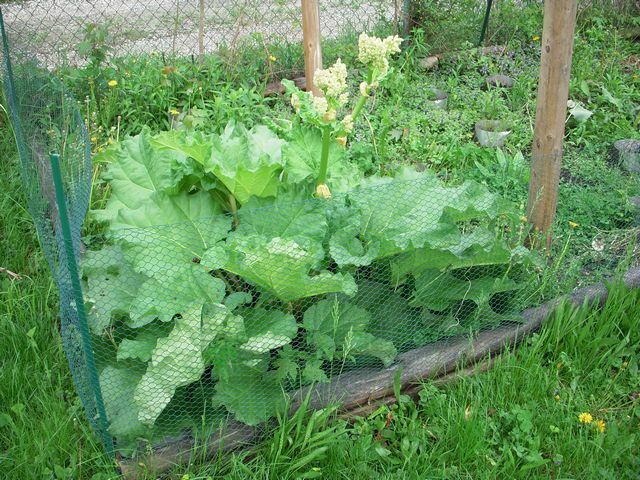 I’ve read a couple of things online about how the flowers take away from stalk production. 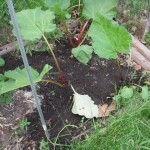 So I’ll be chopping out all of them this weekend. 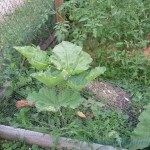 Since I have noticed that the stalks don’t seem as robust now that it is flowering. 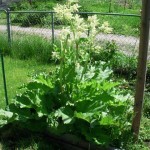 Personally I didn’t even know that rhubarb could flower, but you learn something new everyday. 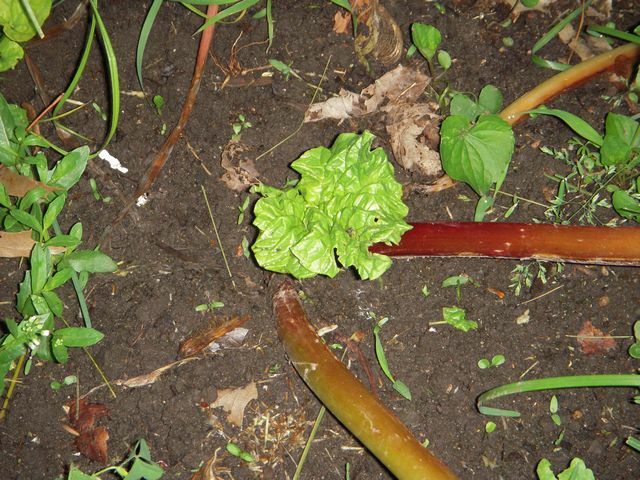 The rhubarb is really starting to bloom in the backyard. 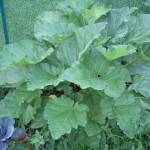 I can’t wait to make a blueberry rhubarb pie. 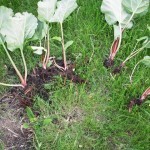 I think it will be a nice switch from strawberry rhubarb. 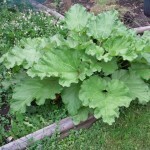 What a difference full sun can make for a rhubarb plant. 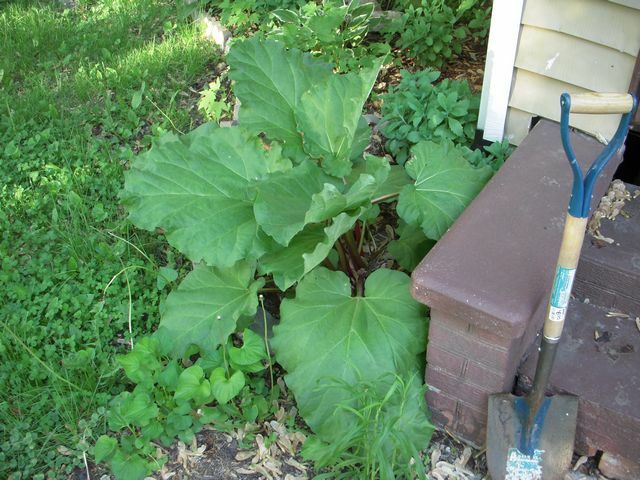 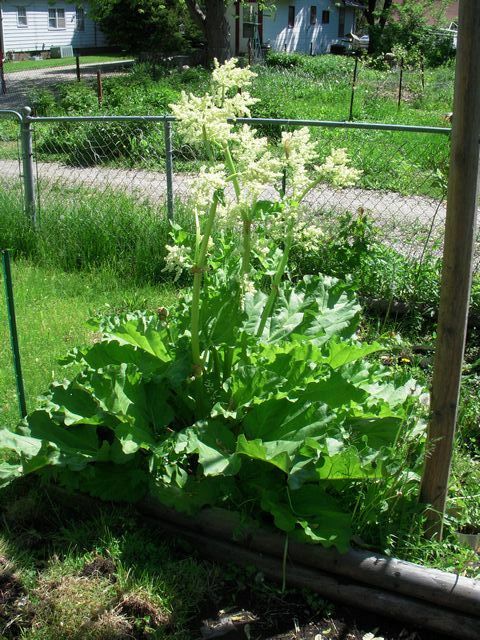 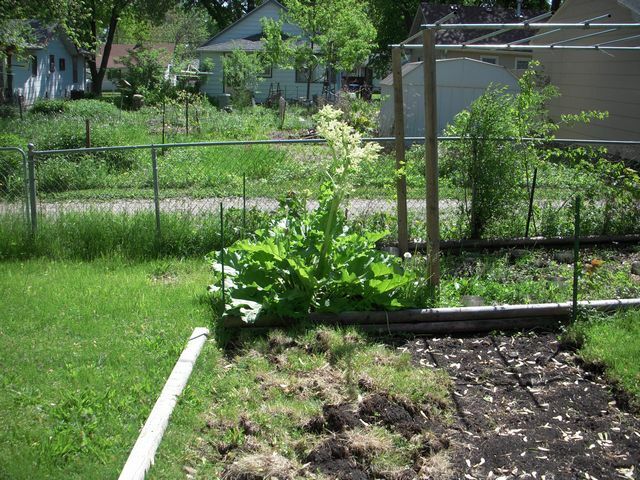 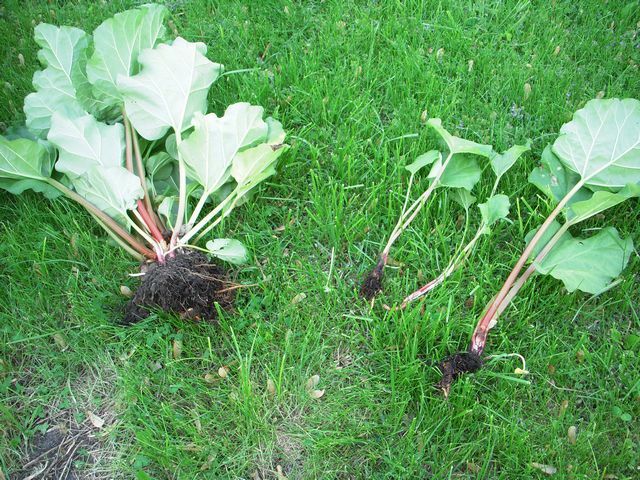 Keep in mind that the rhubarb plants in the front and back yard were from the same rhizome, which makes the growth differences all that more dramatic.